A friend of ours just sent us this. 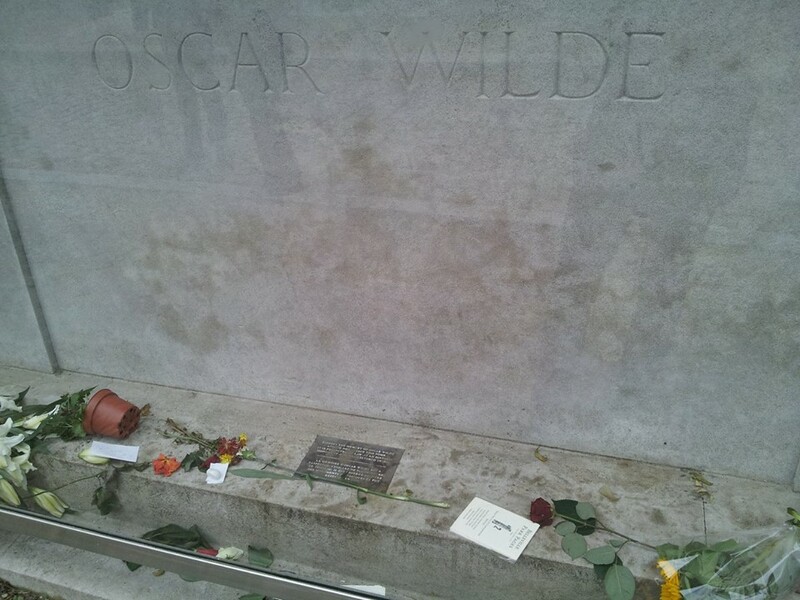 He went for a walk in Pere Lachaise and found this on Oscar Wilde’s grave. No lies – we didn’t believe him either but he is an honest man. WTF. Crazy. Cool. Nuts. As we’ve mentioned, we’re on the lookout for some small festive-ish poems & prose to do something special with for the final Page before Christmas. 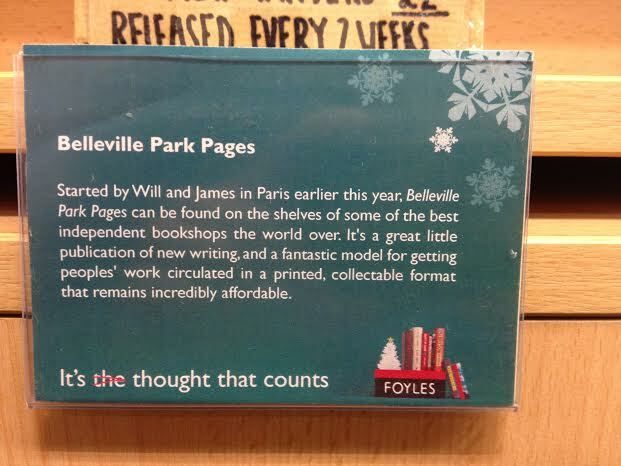 Send something under 100 words to words@bellevilleparkpages.com before the 10th and maybe you’ll all get some little presents for your stockings. Here’s the Maccabees covering ‘Walking In The Air’ from The Snowman for a liddle bit of wintry inspiration. 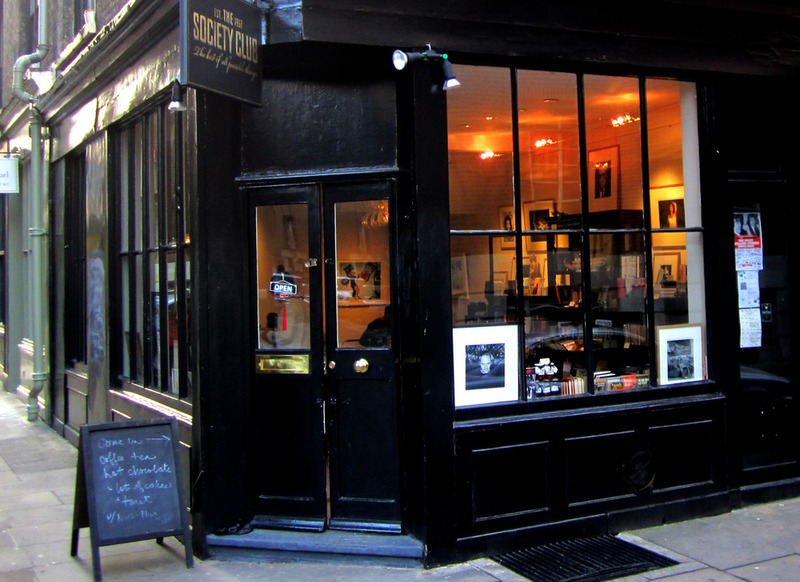 You can now pick up a copy of the Pages in (London-side-of-the-Atlantic) Soho at The Society Club. The Society Club Shop ‘Soho’ is a bookshop, gallery and cocktail bar that hosts all sorts of interesting events at all sorts of times. A place where you can read books and drink drinks is a good type of place to be. Go buy a Page and splash some red wine on it. There’s loads of cool initiatives bubbling up out of Paris at the moment, many of them centred around an area called ‘Belleville’ which you may have heard of. Some very lovely people have set up a cultural space called the Atelier Saint Marthe. Check out their website and Facebook for updates on their events. Pages artist Davy Lyons is performing on the 7th December, and there’s a Literary Social on the 8th. If you go see Davy welcoming in Christmas – expect to hear more amazing stuff like this.